For an accomplished exterminator in West Linn, call on The Killers. For more than 30 years, residents of West Linn have been telling their friends about the level of our service and calling us for an exterminator whenever the need arises. That’s because we offer something pest control companies don’t, total pest extermination. When you need to take your property back from an infestation, no matter what kind it may be, every one of our exterminators is trained to solve your pest problem once and for all. That’s because our unique philosophy provides for total extermination. We look for very specific traits in every exterminator we hire so that you get someone with the skills necessary to provide top-notch extermination in West Linn. This requires us to be selective when hiring an exterminator but means your quality of service is outstanding because every exterminator we send out on a job has what it takes to get the job done. Experience -Every exterminator on our force is experienced. We know that the Northwest can produce some nasty pests that can quickly spread throughout a property. The experience to know what to look for, what questions to ask a property owner, and how to identify nesting sites and entry points are all honed by experience in the field. They require a keen eye because some signs are very subtle, and only an expert level exterminator will see them. Without experience, your exterminator is just making educated guesses, and that’s not the way to deal with an infestation when time is of the essence. Knowledge – There are subtle differences between species and many pests that can produce nearly identical damage and symptoms. Your West Linn exterminator should have the knowledge to back up their experience. Knowing what seasons bring what pests, what environmental factors can cause an infestation, and how to make an environment unwelcome for your pest are just some of the things our exterminators bring to your property. We have the knowledge to identify, seek out, and eliminate any pest. 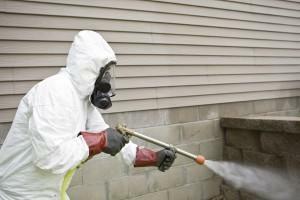 Expertise – Expertise in an exterminator is all about planning and execution of a customized extermination plan. Every property is different and every pest requires a unique solution. 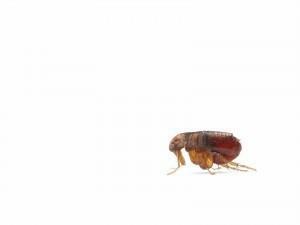 When we send an exterminator to you, they always do a careful inventory of your property, taking every factor into account to create a pest extermination solution that will provide you with the results you are looking for. Our services are even backed by a guarantee of extermination, providing you with peace of mind after your exterminator has finished their job. For a top-notch exterminator in West Linn, call (503) 534-1228 or contact The Killers today for the exterminator West Linn knows and trusts. West Linn is a suburb of Portland which makes it a fantastic place to live and still have access to big city living. West Linn does have a lot to offer on its own. With a great public library that hosts a number of classes for children and adults as well as an excellent school system, West Linn is a great place to raise a family. City access means residents can enjoy local hubs of activity like the Oregon Museum of Science and Industry. With interactive exhibits geared towards young and old alike, it’s a great place for the whole family. Albany, Beaverton, Canby, Clackamas, Corvallis, Gresham, Lake Oswego, Lincoln City, McMinnville, Milwaukie, Newberg, Newport, Oregon City, Portland, Salem, Sherwood, Tualatin, Vancouver WA, Wilsonville, Woodburn and more!